It’s reaaaaaally been a very long time since I get excited each week for a new episode of a Japanese drama. Which drama is it if you might ask? — it is none other than 5-ji Kara 9-ji Made: Watashi ni Koi Shita Obōsan (also known as From 5 to 9) starring Yamashita Tomohisa (Operation Love, Code Blue, Kurosagi) and Ishihara Satomi (Rich Man Poor Woman). The drama is further supported by ikemen such as Furukawa Yuki (Mischievious Kiss: Love in Tokyo) and Hayami Mokomichi (Absolute Boyfriend). There is also an extremely adorable little boy actor named Terada Kokoro. The visual is already attractive enough, don’t y’all think? Hehehe. 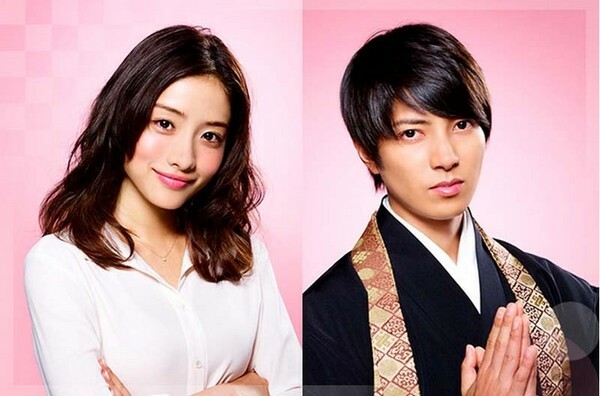 One day Sakuraba Junko (Ishihara Satomi) and her family attend a funeral service. After sitting for too long, her legs gave up on her; she accidentally topples over the table that holds a bowl of ashes, and it falls onto a monk’s head, Hoshikawa Takane (Yamashita Tomohisa). Even though it was an embarassing, and the worse impression she has made, Takane must have fell in love with her at first sight. They meet again through a match-making session, where Takane declares they are to be married. Junko, of course, rejects the marriage proposal. She currently works as an English teacher in an English Language Academy, and dreams of relocating to New York City one day. However, her dream is threatened after Takane enters her life, and starts pursuing her fiercely and… annoyingly. From 5 to 9 is an adaptation of a Japanese comic book (manga) of the same name. I tried to read the manga, but then decided the better of it, at least not until I finish the drama. From what I have gathered, the drama is quite different to the manga’s character set-up, especially for the heroine—her relationships with all the ikemen are a lot more complicated; unlike the drama, she is not romantically involved with any one. I give the screenwriter props for extracting the goodness of the manga (i.e. minus the heroine’s lack of moral integrity and complicated relationship), and wrote a fairly refreshing script. I enjoy the push and pull between the leads, the comedy that was brought out by his annoying persistance. I also enjoy when he does or says those little sweet things for/to her. It was sweet because he doesn’t like to lie, and because he is a monk — he is sincere and honest with his words (or else it will be a sin in terms of his religion). I enjoy the emotions I feel when he tries to beg for forgiveness, but only met with more rejections, and harsh words thrown at his face. I love how the inner turmoil of emotions reach its peak when she tells him never to appear before her again. It was as if his whole world has crumbled, and the sea of emotions triplicate when he announces he will leave for the mountain—this means breaking contact and ties with everyone and everything. I knew it well 3 episodes in, there is no way he will leave successfully, but it didn’t matter, I felt his defeat and the breaking heart. To be honest, it makes no sense I would be so easily convinced by his love at first sight—but miraculously, I don’t dislike it. I just love the premise of how different and worlds apart they are, and how deep down inside, he is attracted to her world; attracted to the warmth she exudes that he has never felt in that quiet, discipline, uninteresting cold temple. I like the idea of seeing his stoic, expressionless character slowly changing for the better, and becomes more animatic under her influences. Very rarely these days they have romance comedy, or just pure romance. Thus, I was delighted to find out there will be a rom-com with the premise of a stoic monk chasing after the heroine. Hahaha…how strange is that, and just how interesting will it be too?—to see Yamapi playing a monk. I’ll be damned. 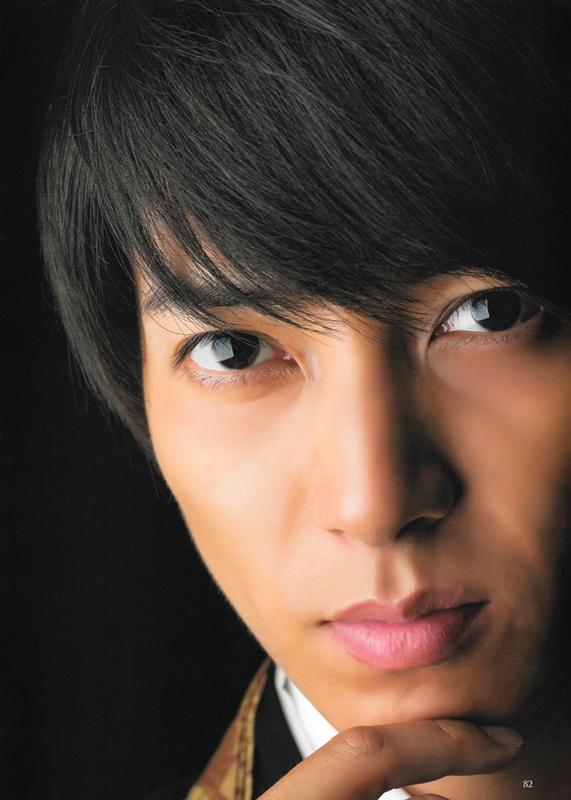 I had forgotten how strict Johnny’s Entertainment (Yamapi’s agency) is with copyright of portraits. This is why we see no episode portraits of Takane on the official website, because even Fuji TV doesn’t have the rights to publish his pictures from the drama. Argh. Back to Yamapi — he is one of my Japanese biases, and even though I don’t watch every single work of his religiously, but whenever he has a drama on, I would at least check it out to see if it’s good. I will honestly say I hadn’t liked any of his dramas since Buzzer Beat, and am happy to say I have finally found one I truly enjoy, and think I might like the rest of the episodes if it continues to be light, fun and provides the Feels (this translates to means the writer should continue to abuse Takane, hehehe).